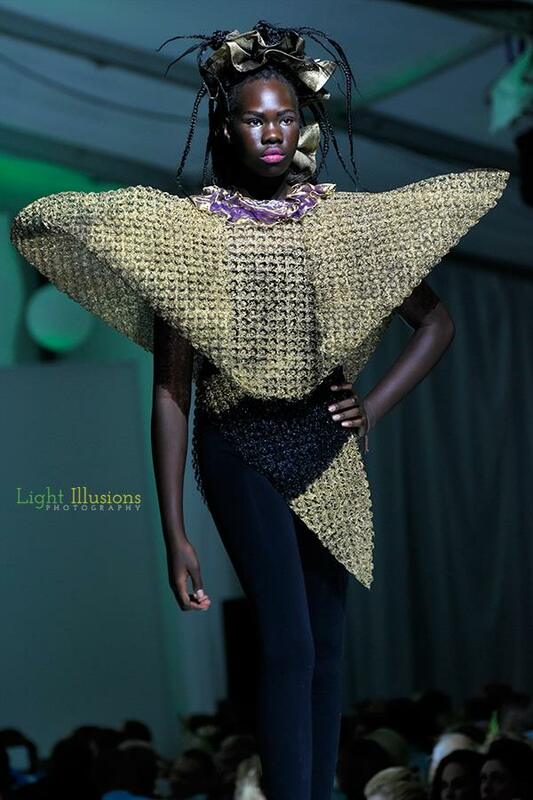 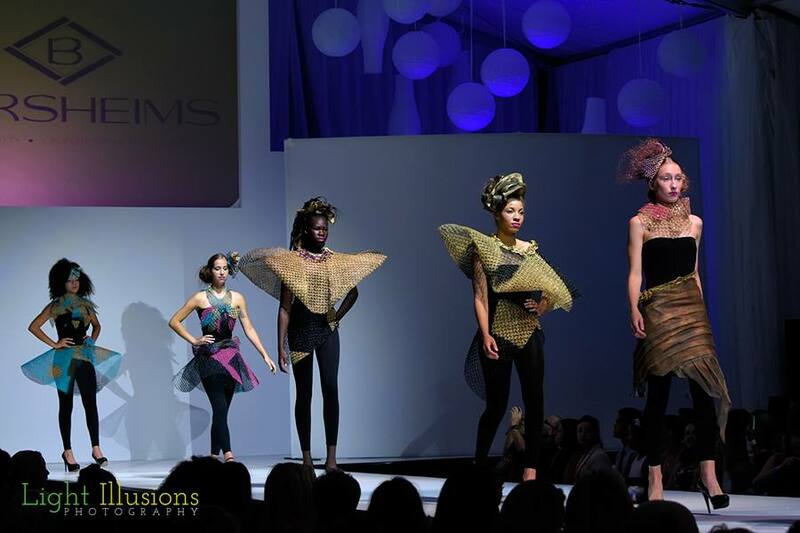 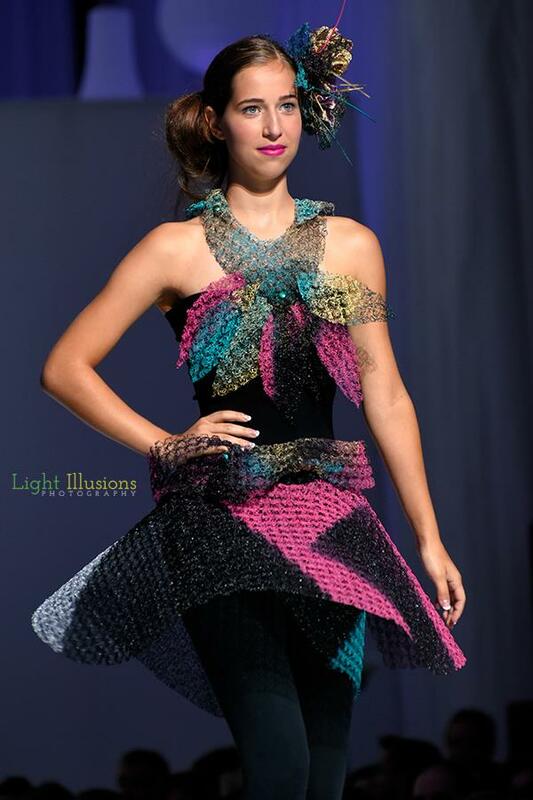 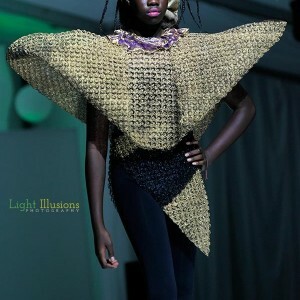 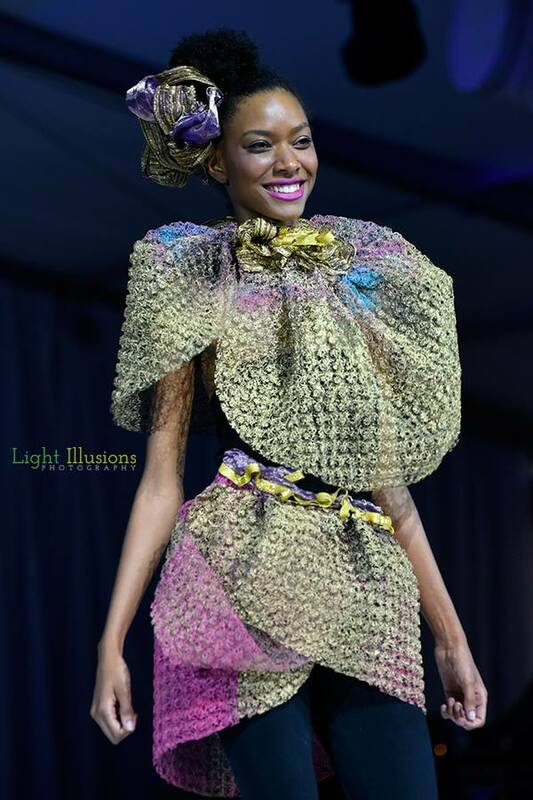 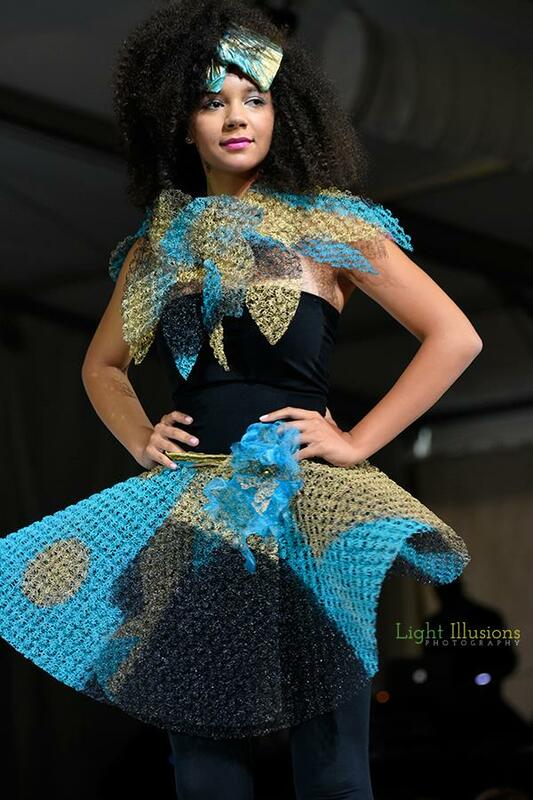 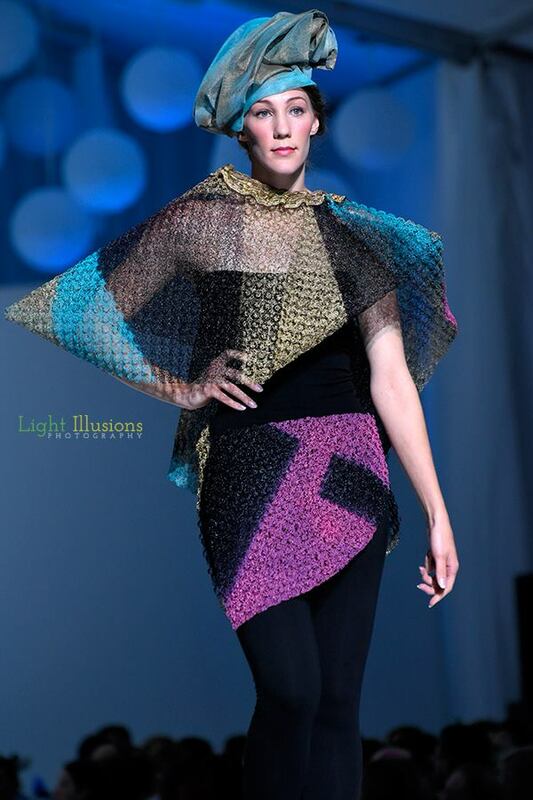 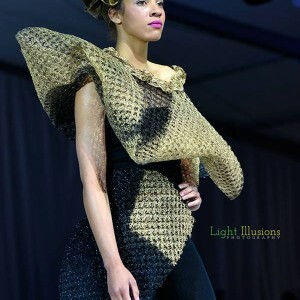 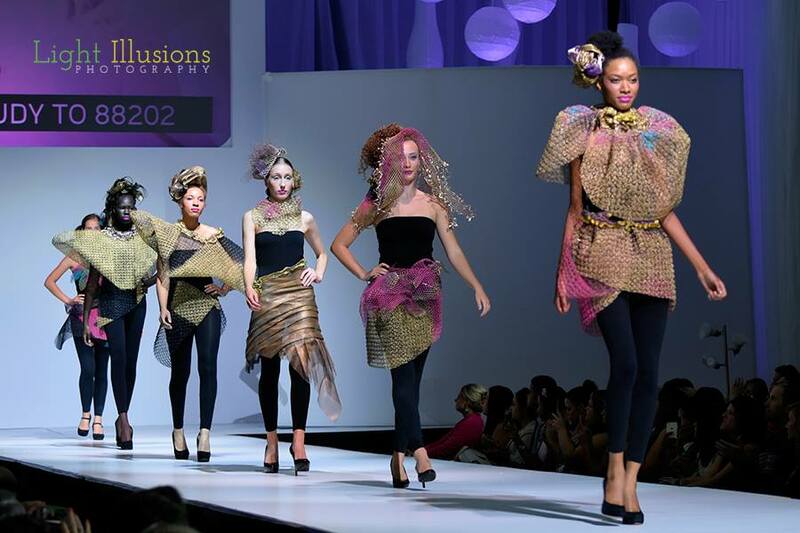 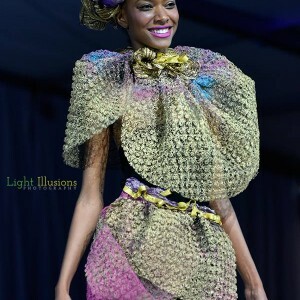 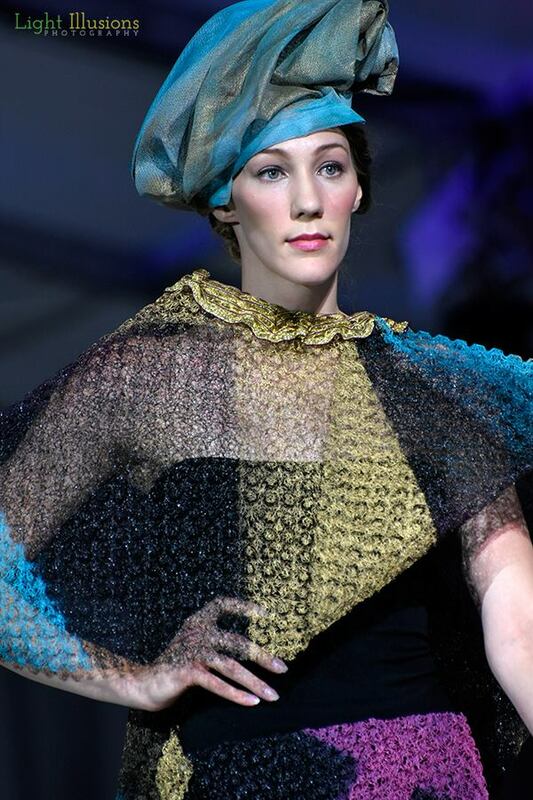 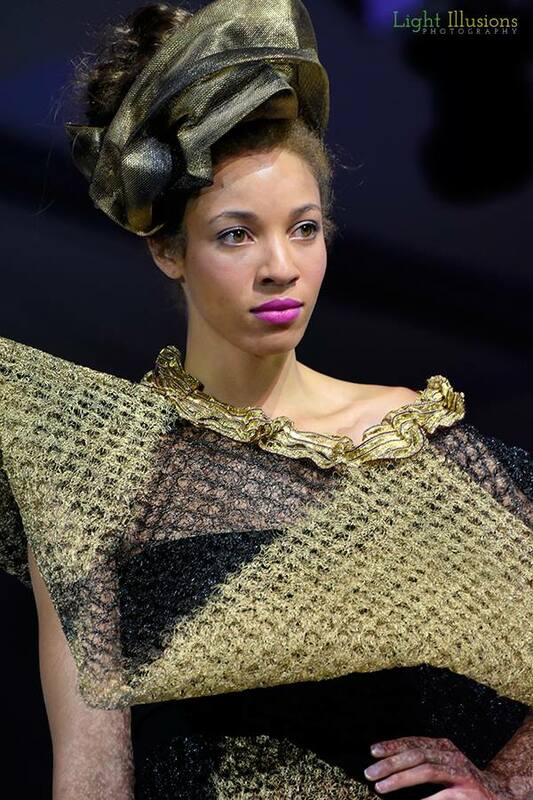 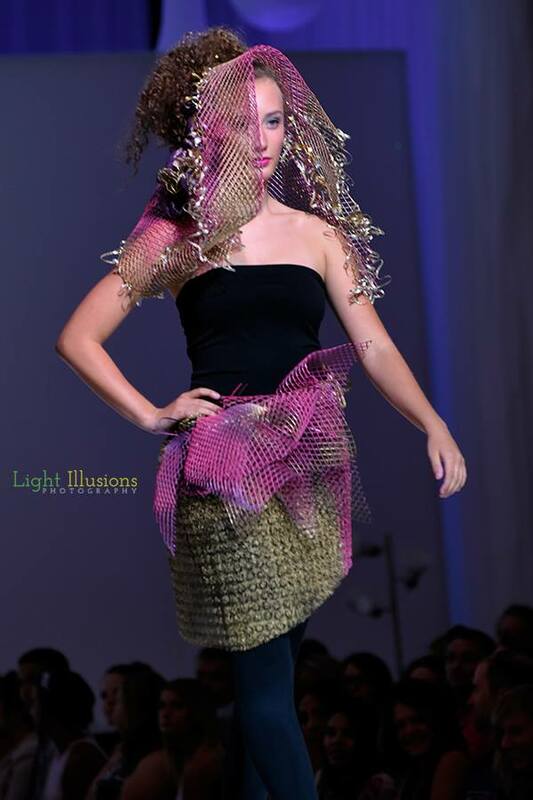 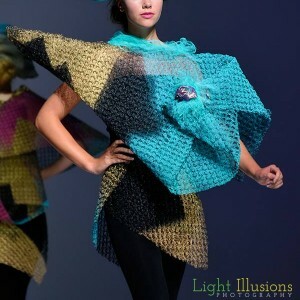 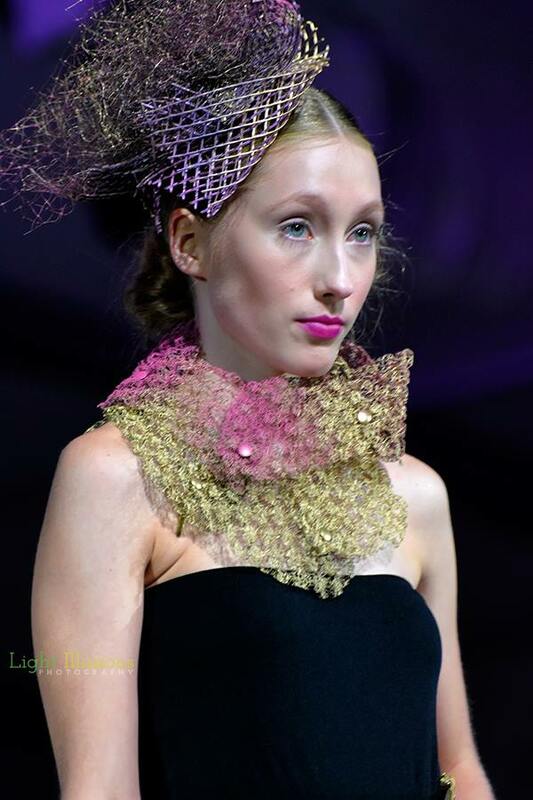 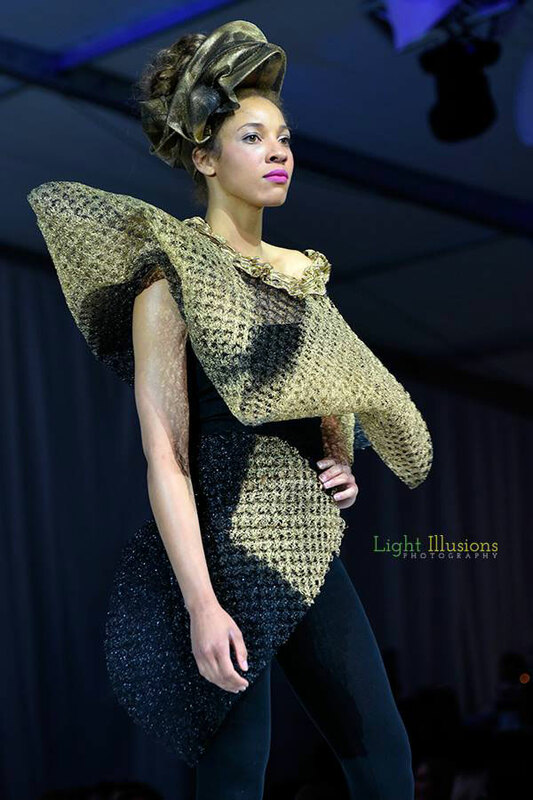 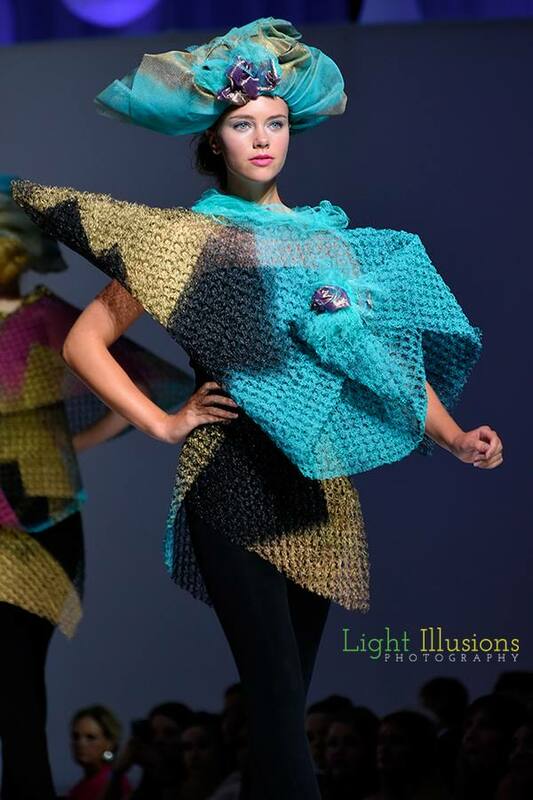 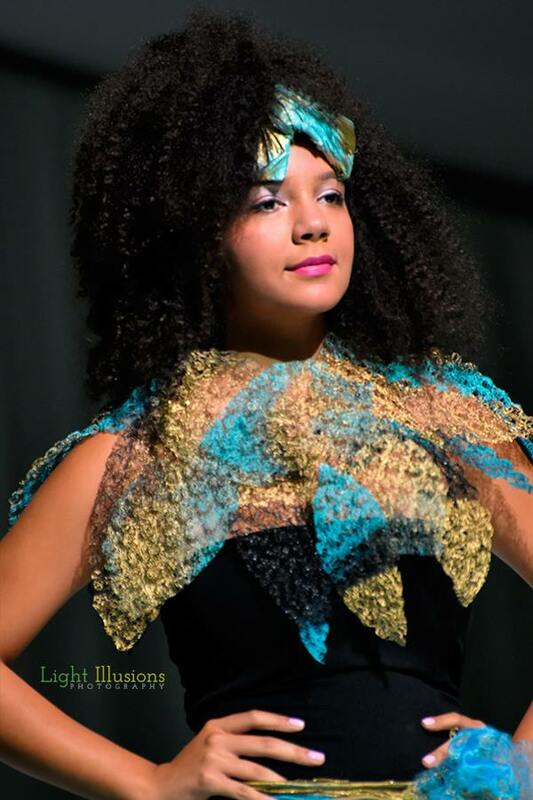 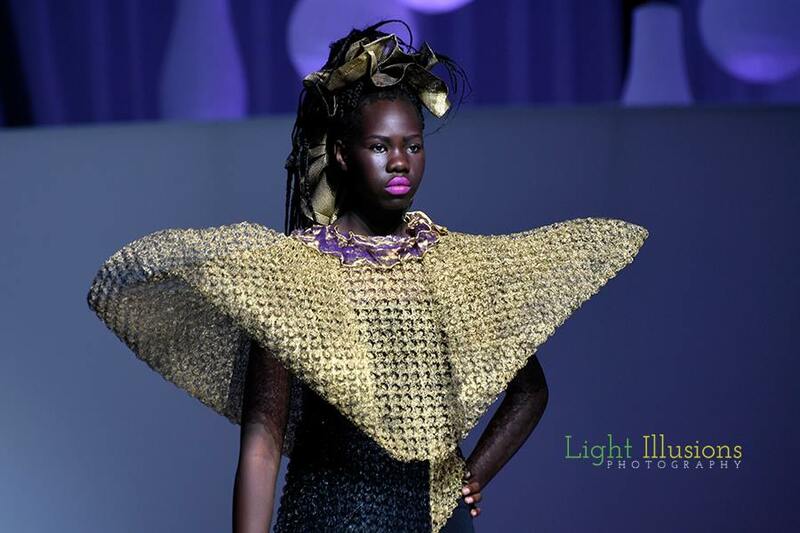 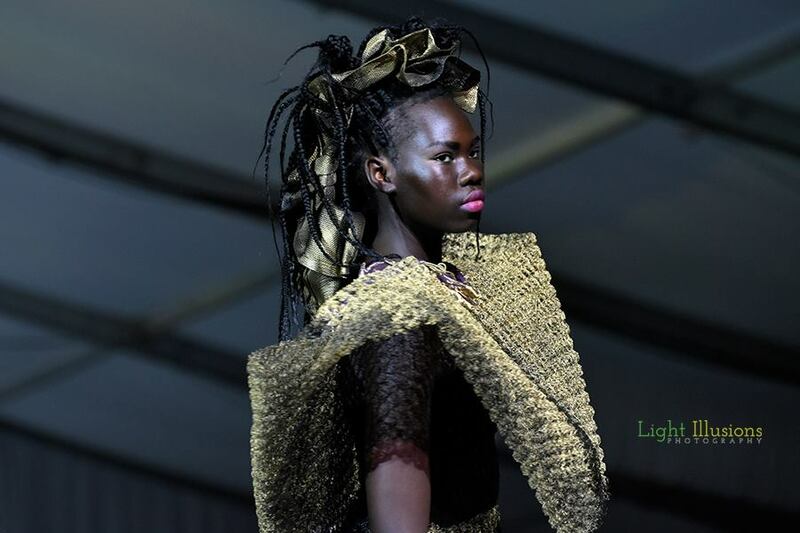 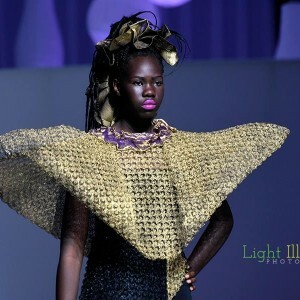 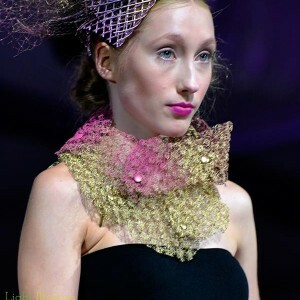 This is a line of avant-garde garments shown at Omaha Fashion Week, August, 2015. 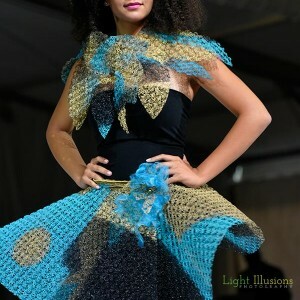 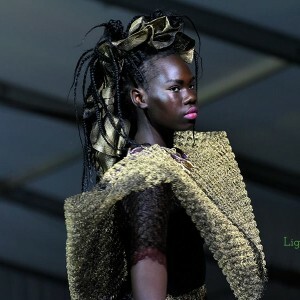 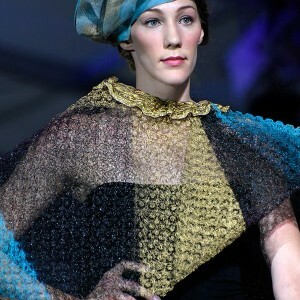 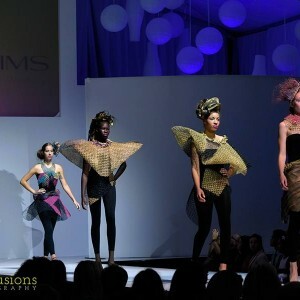 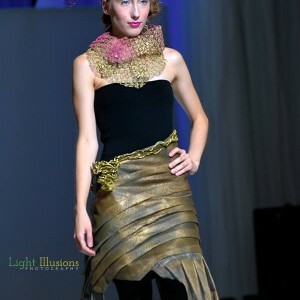 The garments were created from 90% salvaged materials. 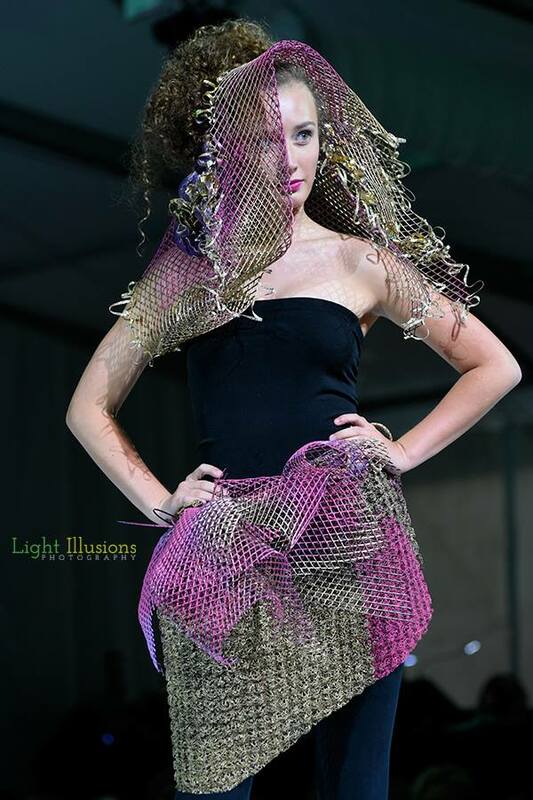 The primary material was a plastic mesh donated by Greystone Manufacturing, a company specializing in recycling. 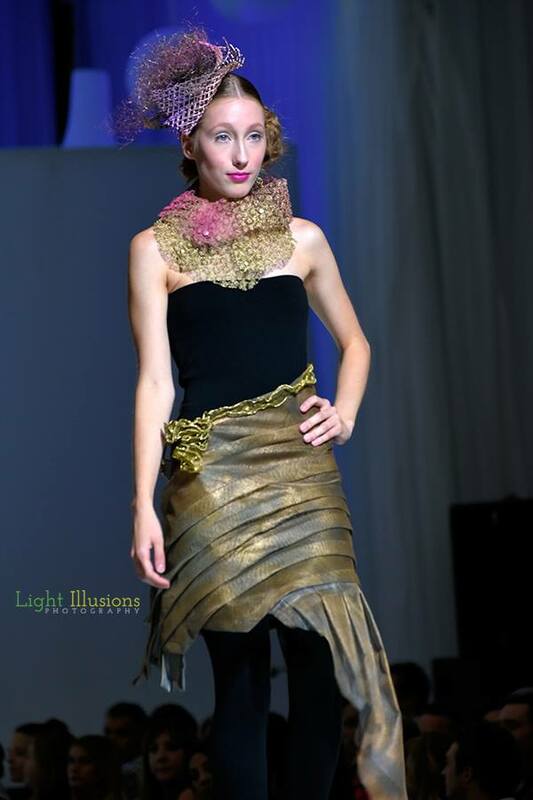 Additional materials were salvaged ribbon from industry, cable ties for construction and aerosol paints. 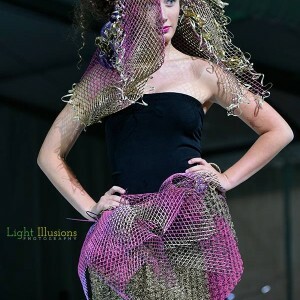 Photographs courtesy of Light Illusions Photography unless otherwise noted on image.